Medal design & accompanying elements. 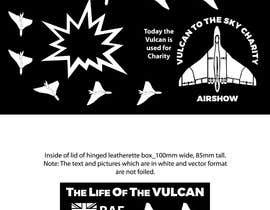 The Vulcan is an aircraft that was used by the RAF and latterly was taken on by the charity Vulcan to The Sky and used at airshows around the country. This project is to design a medal and accompanying lid foil design with insert for a product being produced under license. We are a custom coin / medal company that hold licenses with a number of large brands within the UK and produce for both B2B and B2C markets. This medal will be cast and housed in a hinged box that sits within a card box with removable lid. 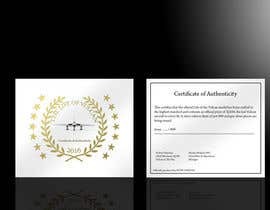 There will be an accompanying certificate of authenticity that is housed within the hinged box. Please note that this is referred to as a medal however is not a traditional type that hangs around the neck or worn. This would generally be called a coin however as it is not currency it is technically a medal. Ordinarily these would be round however we can produce in any shape and size. 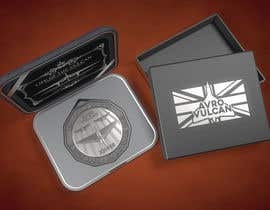 This is the main side and should contain the wording THE LIFE OF THE VULCAN and have some sort of image of the Vulcan. The side can be all metal or contain colour. Photos can be used either as they are or engraved. This side is particularly important as it will contain an actual piece of the Vulcan aircraft. 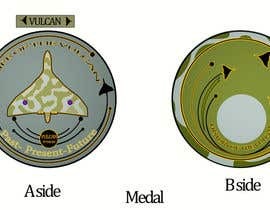 You will be required to have a blank area roughly 2cm tall in the outline of the Vulcan. 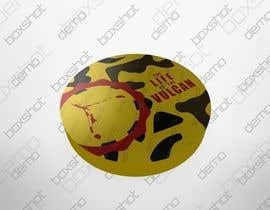 This will be cast with a rim so that the cutout piece of Vulcan can be set into it. The rim can have any design engraved into it and filled with colour if required. Outer packaging lid - a car box that holds an inside hinged leatherette box. This is a foiled element and therefore needs to be provided in a black and white vector format. The areas that are black will be what is foiled and the white areas not. 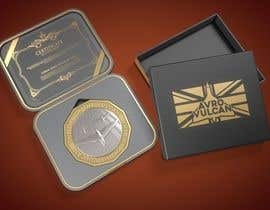 The design can be as complex or simple as you like however must depict the wording THE LIFE OF THE VULCAN and a vulcan image. Other elements are very welcome. This is again a foiled element so would need to be provided in black and white vector format with the black areas being those that are foiled. This is a smaller design area that will be on this inside of the lid of the box that holds the medal. The design will need to be simpler than the lid but contain the same elements. 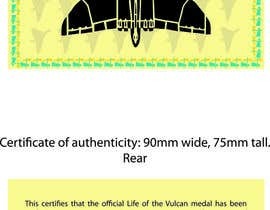 The front will be simple and contain the wording LIFE OF THE VULCAN and Certificate of Authenticity. There should also be some sort of image of the Vulcan. This should contain the following wording with a dotted area under the areas that will be signed. 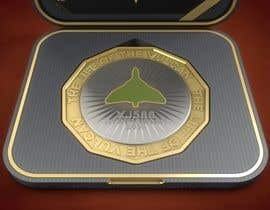 This certifies that the official Life of the Vulcan medal has been crafted to the highest standard and contains an official piece of XJ588, the last Vulcan aircraft to every fly. A strict edition limit of just 999 antique silver pieces are being issued. Photos can be used if they are to be cast as we will 3D render them. Any images used must be free to use and not infringe any IP. The medal does not have to contain any colour however if you believe it should then any colour can be added. The medal does need to look graphically like a medal (i.e. 3D and silver) as this will simply be used to create the tooling and then product photography will be done. Hi CH, please rate #20 , Thank you very much. 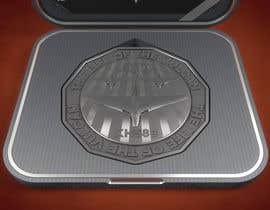 Is it possible to give a google link to a similar looking medal, box, etc? 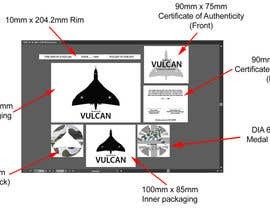 Hi WajahatMehdi, Side A is the front and will contain the wording along with any design depicting the life of the Vulcan. Side B is going to have an area where a piece of the Vulcan will be placed. 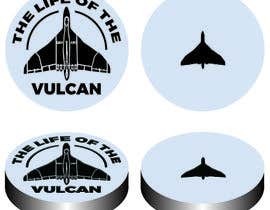 It will be approx 1cm in length and be in the shape of a Vulcan. Any design and wording around the outside of it can be your choice. can you give its clearification with a rough drawing sample?